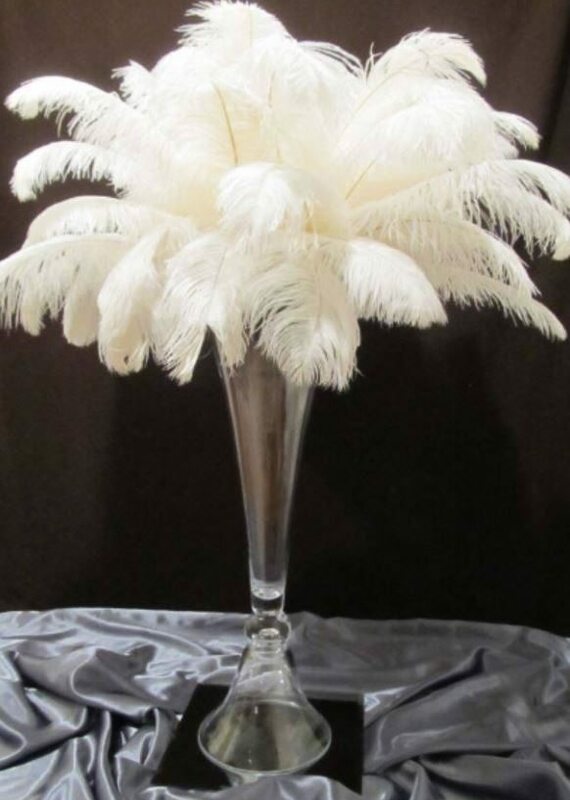 Rental Fee: $35.00* – Includes: 24″ Eiffel Tower or Pilsner Vase with White 1st Quality Ostrich Feathers. Rental Fee: $65.00* – Includes: Vegas Style 24″ Tall Pilsner Vase with White 1st Quality Ostrich Feathers. Rental Fee: $100.00* – Includes: Vegas Style 32″ Tall Pilsner Vase with White 1st Quality Ostrich Feathers. LED Lights and hanging Swarovski Element Crystals. *Price does not include IL State Tax, delivery, setup, and room flip breakdown.